Finely crafted in the USA. Perfect for the Industrial or Urban style kitchen, bath, office, or room. The versatile Stainless Steel floating shelf adds stylish Industrial or Urban design to any room, office, bath, or kitchen. 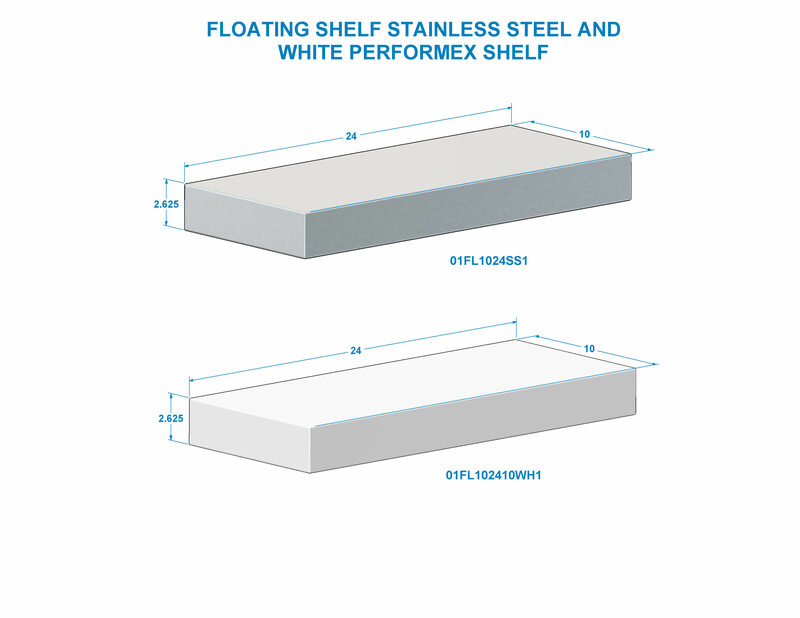 Available in 10″ x 24″, you can install this shelf to utilize sleek and functional open shelving décor to any room. Includes steel shelf bracket and installation hardware. Each shelf comes complete with our one 22.50" steel floating shelf bracket and installation instructions.